As many of my friends know, I don't watch a lot of television. I watch the news every day, and when it's live, I watch American Idol with our kids. During last night's Idol, a commercial was aired by Google Chrome for the It Getss Better Project. I was extremely moved by the brilliance behind the campaign - especially the way it incorprates all forms of media including advertising, social media, media relations, and marketing. This is what integrated marketing is really about. The It Gets Better campaign, which you can follow on Twitter using the hashtag #itgetsbetter, was launched by Dan Savage in 2010. According to the http://www.itgetsbetterproject.org/ website, the "project was created to show young LGBT people the levels of happiness, potential, and positivity their lives will reach – if they can just get through their teen years. 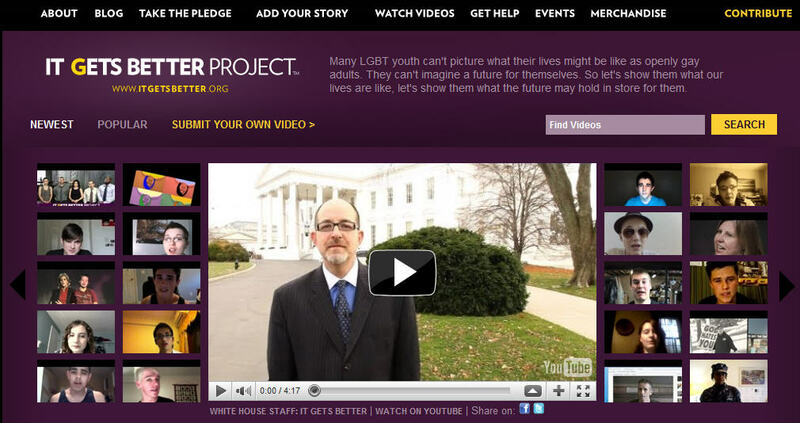 The It Gets Better Project wants to remind teenagers in the LGBT community that they are not alone — and it WILL get better." And they are making a difference! Contributors' videos are shared on the It Gets Better YouTube Channel. There are contributions from a number of high-profile people including Ellen DeGeneres, Kathy Griffin, Anne Hathaway, President Barack Obama, Secretary of State Hillary Clinton, and, as seen in Google Chrome video, Woody from Toy Story. You can also follow along with the conversation on Facebook at and hear what the folks at LinkedIn have to say about the project at http://blog.linkedin.com/2010/10/29/linkedin-employees-say-it-gets-better/. Just remember, if you know someone who is being bullied, for whatever reason, tell them that "it gets better" because it does. Great post, Gina. Thanks for sharing it with us in the office today.